Are you sick of seeing maggots in compost? How and what brings them into your compost? These are some of the questions we ask ourselves once we find maggots in our compost. But, did you know that you can get rid of them completely? Not only that, but you can also prevent them from coming into your compost ever. 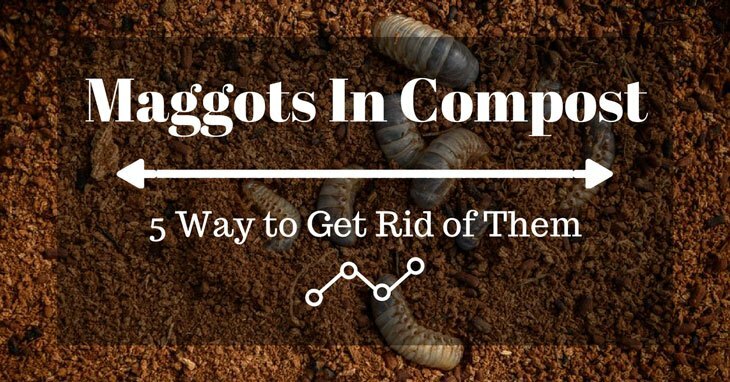 Here is everything you need to know about maggots to help you keep them at bay effectively. They are grayish brown in color and measures one inch long. 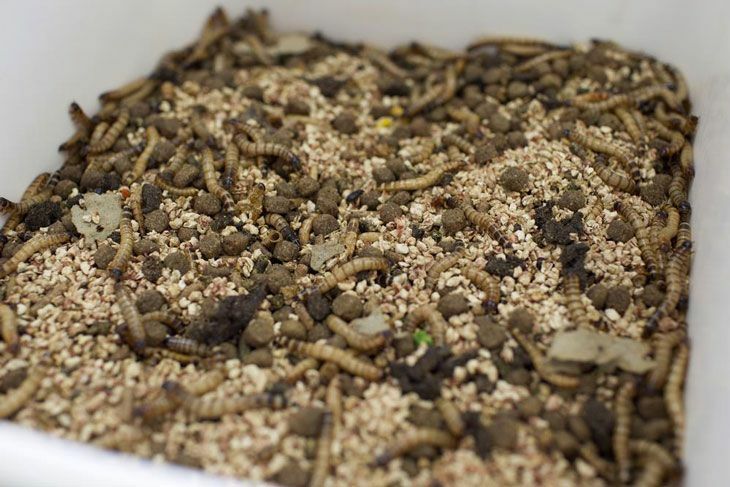 Typically, maggots have a 7-day life cycle, depending on the temperature and moisture. Maggots are also known to move around actively, mostly when they are exposed to the light. They will appear in your compost if only it contains materials that are rich in nitrogen. The organic material in which the maggots thrive is often moist and decomposing. If you leave your compost pile open for just a few days, you will be surprised by the huge numbers of maggots you’ll find. This is why one of the best ways to combat the maggots is to make sure your compost has a balance of carbon matter. To effectively get rid of maggots, you need to understand why they are in your compost in the first place. So, what are some of these reasons? You will find flies in your compost because it's filled with food wastes, which is their natural food. After they feed on it, they then lay eggs in the same spot, which later hatch into maggots. Wet compost can as well result in the presence maggots in your compost. This is simply because larva or maggots require a moist environment to hatch and grow. Or their presence simply derails the progress of your compost. Maggots can be eliminated from your compost with very little effort. So, how do we eliminate them? The following are some of the effective ways to banish the annoying little buggers once and for all. As I mentioned above, maggots do well in areas with food waste as well as relatively moist conditions. To remedy this easily simply add brown matter such as dry grass or leaves to your compost to dry out the moisture. The browns topped with a layer of soil helps to keep the food material where the maggots cannot find them easily. The use of lime is another proven way to combat the proliferation of maggots in your compost. Spread out the pile on a flat surface and sprinkle some lime over the compost or even add citrus fruit waste in it. Lime usually dries out the maggots and causes them to die of water pressure deficiency. However, the use of lime may interfere with the pH levels of your compost. Another great way is to dust your compost with diatomaceous earth (The Link to Amazon.com). It's a fine powder made from the all-natural products. It dehydrates maggots and other pests in your compost bin causing them to die. Flood the maggots using a mixture of vinegar and water. Maggots find a water-vinegar mixture uninhabitable. This will help you get rid of the maggots and prevent a re-infestation in the future. You can also collect the maggots by hand and put them in a well-sealed container. Then pour in a mixture of hot water and a half-full cup of hydrogen peroxide to instantly kill them. Turn the pile on a daily basis to increase air flow and heat up the compost’s interior area. Then, use a rake to keep the pile leveled and to prevent cooler edges and a warmer center. Carry on with these practices until you’ve eliminated all the maggots in your compost. Once you’ve fixed the problem, you may reduce the turning and raking to once or twice a week. This will still produce enough heat to keep the flies away. Maggots will appear in your compost only if a fly lays eggs inside. Thus, although compost requires good air flow that does not mean you make huge holes that flies can use to enter. Always cover the holes using a mesh screen to prevent entry of flies and further stop more eggs to be laid. Nowadays, you will find electric outdoor flytraps that can help you to trap the flies and get rid of them. The outdoor flytraps are designed to attract the flies and any other flying insects. They then use electricity to kill the trapped flies. On the other hand, some maggots such as black soldier fly larvae can serve as a great source of food for your chicken. Release your chicken into the compost pile maybe for an hour a day to scratch around and have a feast! If you do not correctly make your compost pile, you may often experience maggot infestation. Tending to your compost is one of the great ways to having nutrient-rich compost for your gardens. It’s also a perfect way to get rid of maggots in compost. If you follow the above tips, you can ensure that your compost bin is free from these pesky maggots. However, not all composters want to get rid of the maggots. Some gardeners actually want them in their compost. This is mainly because they break down organic material pretty fast. If you just let them be, you will always have your compost ready earlier than ever before. If you find this article useful and informative, you can share it with your family and friends. They’ll surely learn a lot from this. You might also want to share your thoughts and opinions in the comment section below.